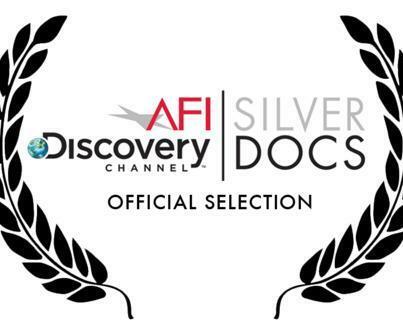 Silverdocs, a documentary film festival that takes place every year outside of Washington D.C., recently celebrated its 10th anniversary and for my second year in a row, I attended the annual event. Like in 2011, the festival offered up a variety of intriguing and (sometimes) intensely personal films from around the world. I had the privilege of watching seven of these cinematic stories unfold. Here’s a list of the films I saw at the festival. For each film, I offer a brief description and my thoughts on the movie as a whole. From the must-see thrillers to the disappointing dramas, here is a look at some of the documentaries presented during the festival. The Imposter: Of the seven documentaries I watched, The Imposter was undoubtedly the best. The story behind the film is pretty simple. In the early 90’s, a thirteen-year old boy disappeared from the streets of San Antonio, Texas. Three years later, the missing teen’s family received a call from Spain and were told that the boy has been found. Despite its simplicity, though, this movie is much more mysterious than it seems. The boy isn’t who he claims to be and when he arrives in the United States to greet “his family,” the movie becomes much more complicated. Although the documentary’s title seems to tell the whole story, the movie is far more complex. At times, I thought I knew where the story was going but I was dead wrong. The final thirty minutes are packed with surprises and twist that left my stomach turning. The Imposter is a must-see. Time Zero: The Last Year of Polaroid Films: The death of Polaroid instant film isn’t what one would normally consider a tragic story. As one technology replaces another, one way to capture images (digital pictures) can easily replace another one (instant photos), right? Not true, claims this provocative and thoughtful documentary. This movie shows how the loss of Polaroid instant film impacted the lives of so many photographers. Although you may not realize what instant film offered, Time Zero offers up a myriad of reasons why that type of film was so important and in doing so, engages the audience in a thoughtful provocative debate about the vitality of instant photos in a world that has gone so far into the digital universe. Ann Richards’ Texas: Ann Richards created a lot of headaches for the Republican Party during her political career. She memorably criticized Vice President George H. W. Bush at the Democratic Convention in 1988 with a series of one-liners and she became the Democratic Governor of Texas in 1991. Although I’m not a fan of her politics, Richards was a colorful politician in a field where too many people are afraid to make headlines. This documentary shows the rise and fall of this liberal icon whose one-liners and fierce personality made her a beloved figure on the left side of the aisle. Don’t Stop Believin’: Everyman’s Journey: The band Journey has gone through many changes over the years but one of their biggest was when it chose Filipino Arnel Pineda as its new lead singer in 2008. The vocalist, who was amazingly discovered on YouTube, went from living on the streets to living on the road touring the world as a member of one of the biggest bands of the past fifty years. Although the movie runs a tad long, it offers a compelling story and a great soundtrack. While Journey fans will love it, non-fans will likely enjoy it as well. The Queen of Versailles: The Queen of Versailles is a documentary about a rich couple who decide to build a Florida home modeled about Louis the XIV’s palace. When the economic crash of 2008 occurs, this rich couple faces a life without the privileges and power they were accustomed to. Offering up a few laughs and a dramatic story, this movie shows the benefits and pitfalls of living a life of extravagance in a world where money can easily slip away. ½ a Revolution: This documentary seemingly takes an inside look at the overthrow of the Egyptian government in 2011. An international group of people living in Egypt during the turmoil chronicle their experiences as protests are interrupted by violence and one leader’s powerful grip over his nation loosens. Although the subject is interesting and worthy of a great film, this movie has no focus and ultimately feels hollow as neither the characters nor the situation are given any depth. With little access to the behind-the-scenes turmoil, the film offers up little insight or intrigue. Canned Dreams: Nightmares is more like it in this profoundly dull film about the work that goes into one can of ravioli. Although the subject sounds interesting, the filmmakers fail to take advantage of its potential as they interview employees around the world whose cumulative work ultimately ends up in one single can. Disjointed and devastatingly boring, this film offers little more than canned goods and should be left in its package.